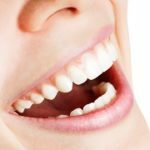 Dental Impressions are an imprinted reproduction of a patient’s teeth that are taken for multiple reasons like making dentures, orthodontics, tooth restorations (i.e. crowns, bridges, etc. 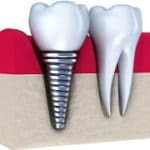 ), dental implants, and more. Traditionally, they’re casted out of a mold where a “goopy” material is placed in a tray and into the patient’s mouth to reproduce the hard and soft tissue and impression of their teeth. This can be inconvenient and uncomfortable, especially for patients with a sensitive gag reflex or who get claustrophobic, since it takes a few minutes for this impression to set while it’s in the patient’s mouth. 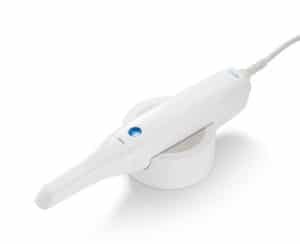 Dr. Kim constantly strives to use the latest technology, which is why here at Pacific Smiles we use an Intra-Oral Scanner for our Dental Impressions – a Digital solution that no longer requires a physical cast or mold to be taken. 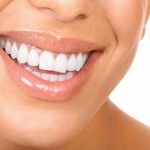 No more goopy dental impression trays! The biggest benefit for patients in utilizing the Intra-Oral Scanner for taking digital impressions is that they no longer will have trays full of oozing material placed in their mouths; most patients never preferred this traditional way of taking impressions in the first place. Digital Impressions in our office are taken with our Intra-Oral Scanner, a wand-like instrument that moves over the surface area of his or her teeth. 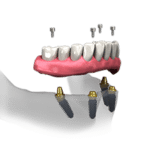 This will capture all the information needed to take the dental impression, and it only takes a minute or two, a much shorter amount of time than traditional trays. Often times the digital information is captured on a monitor next to the patient, enabling them to see the captured images. This state-of-the-art technology not only benefits the patient’s experience, but the overall dental impression procedure. The accuracy of the impression taken is highly improved since the digital technology allows for a much greater detail of information taken. It also drastically cuts down on the mistakes made while taking the impression, which results in a higher quality restoration while also eliminating material inaccuracies. 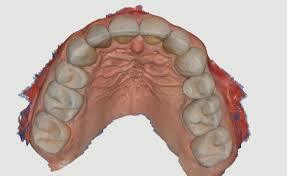 Traditional cast or mold impressions can be unclear, rip after being taken, or warp. Digital Impressions don’t have these problems, and the much improved quality of their impressions taken, via the digitally captured images, actually result in fewer problems for the dentist as well as the lab technicians (that often create the restoration). 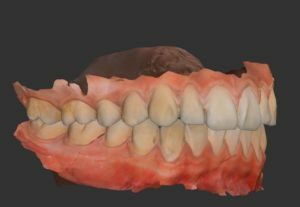 Digital Impressions provide a much more seamless process that can be done faster with a higher quality result in the final restoration. Eliminating the need for disposable plastic trays and impression materials help aid in a green dental experience, where the impressions are digitally stored and can safely be discarded electronically, not ending up in a landfill.